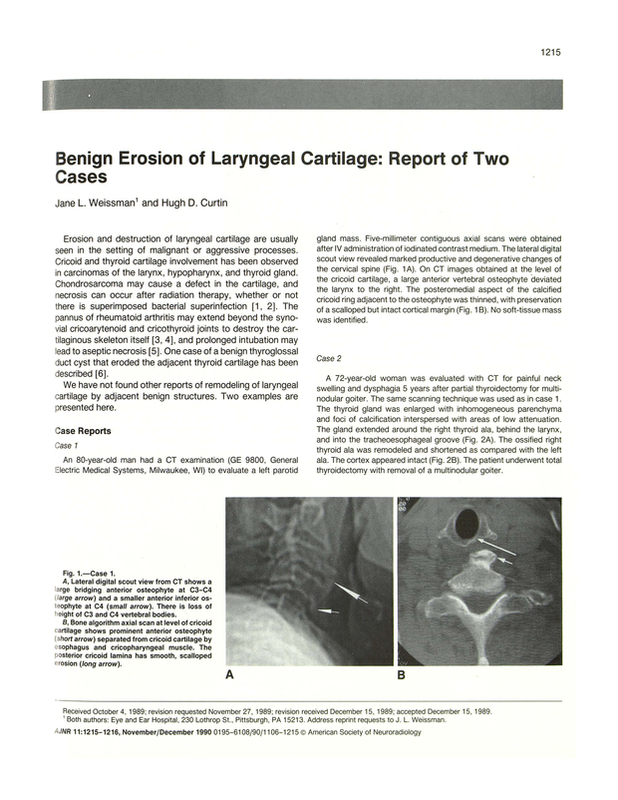 Benign erosion of laryngeal cartilage: report of two cases. Eye and Ear Hospital, Pittsburgh, PA 15213. You are going to email the following Benign erosion of laryngeal cartilage: report of two cases.